The Japanese Pharmaceuticals and Medical Devices Agency (PMDA) has approved Merck’s Marizev (omarigliptin) 25 mg and 12.5 mg tablets, an oral, once-weekly DPP-4 inhibitor indicated for the treatment of adults with type 2 diabetes. Japan is the first country to have approved omarigliptin. The approval of Marizev in Japan is based on phase 3 trials of Japanese patients. The worldwide clinical development programme for omarigliptin, O-QWEST (Omarigliptin Q Weekly Efficacy and Safety in Type 2 Diabetes), includes 10 phase 3 clinical trials involving approximately 8,000 patients with type 2 diabetes. 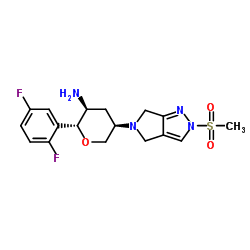 Merck plans to submit omarigliptin for regulatory approval in the United States by the end of 2015. Other worldwide regulatory submissions will follow. The trademark for omarigliptin in other countries has not yet been announced.